A computer is a programmable machine based on two principal characteristics: It responds to a specific set of instructions in a pre-defined manner, and it can execute a pre-recorded list of instructions, also known as a programme. The device accepts information and processes the data according to this list of instructions, or programme. The context of its use in this instance was to describe a person who carried out calculations or computations. It was only from the end of the 19th century that the word began to take on its modern-day meaning, a machine that carries out computations. Since ancient times, manual devices have aided people in doing calculations. 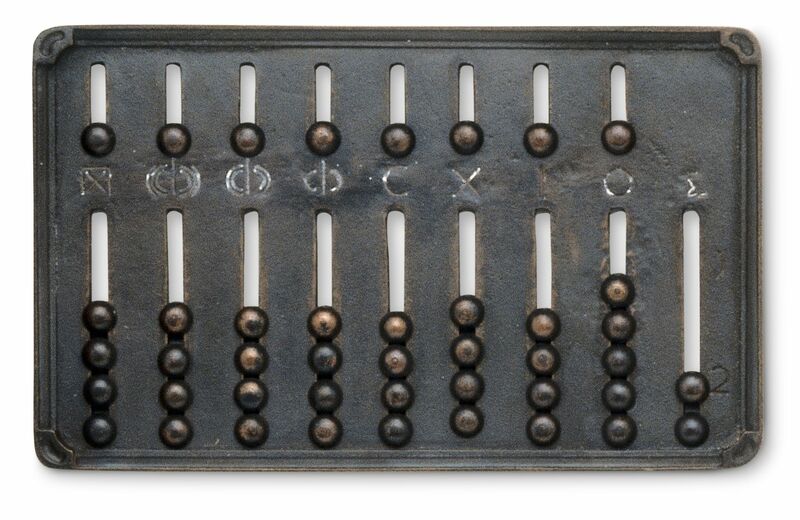 Take the abacus. The Roman abacus was developed from Babylonian devices dating back as far as 2400BC. From then, many other forms of reckoning boards or tables have been invented. In a medieval European counting house, a checkered cloth was placed on a table with counters on top of it. The counters were then moved according to certain rules as an aid in counting sums of money. The first analogue computer – a computer that operates with numbers represented by directly measurable quantities (such as voltages or rotations) – was called The Antikythera Mechanism and was used to calculate astronomical positions. Discovered in 1901 in the Antikythera wreck off the Greek island of Antikythera, the device has been dated to circa 100BC. Interestingly, comparable devices of a comparable complexity would not appear until 1000 years later. The concept of a programmable computer came from an English mechanical engineer, Charles Babbage, considered the ‘father of the computer’, in the early 19th Century. After working on his revolutionary ‘Difference Engine’ designed to aid in navigational calculations, in 1833 he conceptualised the ‘Analytical Engine’ that had a much more general design. Data input to the machine was done through punched cards. For output, the machine would have a printer, curve plotter, and bell. All the parts were made by hand, this being a real issue with a machine consisting of thousands of parts. Eventually, the British government rescinded their funding of the project due to Babbage’s constant changes of design that were meant to add sophistication to the device – the device itself was considered 100 years ahead of its time. Eventually, in 1988, Charles’ son, Henry, completed a simplified version of the ‘Analytical Engine’. In 1936, Alan Turing developed what is considered the modern computer in his seminal paper, ‘On Computable Numbers’. The simple device Turing proposed was named the ‘Universal Computing Machine’ – now known as a Universal Turing Machine. The machine computed anything that was computable by executing instructions (a programme) stored on tape. This made the machine programmable. The fundamental ingenuity behind Turing’s machine was the stored programme, where all the instructions for computing are stored in memory. Computers of the 1940s used large amounts of electricity and were the size of a large room. In 1980, the first 1Gb disk drive was released. It cost $40,000 US and weighed nearly 230 kilograms. 1Gb equates roughly to a modern-day HD movie. Did you know that you blink 20 times a minute? However, staring at a computer screen, that reduces to 7. Working at a computer all day, your hands will travel around 12 miles.